The Utah Jazz lost a potentially significant opportunity to ease its future cap sheets when it couldn’t come to agreement with George Hill on a renegotiation and extension by the Mar. 1, 2017 deadline, one that could’ve paid out up to $88.7 million in new money in exchange for a commitment through the 2019-20 season. The Jazz would’ve been able to frontload $13.6 million of that payout to this season – reducing future season payouts to no more than $23.3 million in 2017-18, $25.0 million in 2018-19 and $26.8 million in 2019-20, an effective per season cap hit reduction of about $4.5 million – and reduce the commitment to just three new seasons. Instead, Hill will reportedly be gunning for a maximum contract in free agency. The Jazz will be able to offer him a contract of up to five years in length, but they surly won’t be willing to give the soon-to-be 31-year-old any more than the four seasons other teams can offer. The most Hill can get with any other team: 4 years, $131.6 million. It remains decidedly unclear as to whether the Jazz, or any other team, will give it to him. Is Hill truly that valuable (or even anywhere close to it)? If you feel he is, it could subtract at least an extra $4.5 million (for a contract that has an equivalent $88.7 million payout over the next three seasons), and maybe as much as $7 million (for a max contract), from Utah’s cap sheet in future seasons. A key number for the Jazz in its negotiations with Hill next summer: 4 years, $103.8 million. That’s the point at which the contract would produce an equivalent payout over the first three years as that which Hill apparently rejected. Anything below that and the Jazz will have been better served over the next three seasons by not signing Hill to a renegotiation and extension, albeit in return for a very costly fourth-year guarantee. Anything above that and the Jazz lose out. It’s difficult to imagine Hill will break $103.8 million over four years on the free agent market. But, by rejecting a renegotiation and extension of up to $88.7 million over three years, he clearly thinks he can. How much it takes to re-sign Hill will have implications for how the Jazz proceed in constructing the rest of their roster, including what they might offer Gordon Hayward if he qualifies for a designated player veteran extension this summer in the unlikely event he earns All-NBA honors and exercises his player option (if he doesn’t, what the Jazz will offer is clear – the full max), whether they will look to trade Derrick Favors, whether they will retain Boris Diaw, how they will approach negotiations with Rodney Hood, etc. While I have chosen to focus solely on Hayward in this post, how the Jazz choose to manage their entire roster this summer will be equally fascinating. It’s tough to get a great read on where exactly the Utah Jazz stand. They’ve got an undeniably talented and youthful core which has the potential for excellence. They’re one of four teams which rank top 10 in the NBA in both offensive efficiency and defensive efficiency. And they have a top 10 NBA record. On the other hand, they sit in the bottom half of the Western Conference playoff standings and aren’t really in the same class as the top three. They haven’t won a single post-season game since 2010. And they’ve been waging a losing battle against injury for years, which makes it nearly impossible to tell just how good they can be. The lack of clarity is becoming a serious problem for the small-market organization, as it navigates whether it’s even possible to pay its five when-healthy starters — George Hill, Rodney Hood, Gordon Hayward, Derrick Favors and Rudy Gobert – within the confines of a luxury tax threshold which they have been historically adverse to cross. Gobert already got his big-money extension this past October – a four-year, $94 million payout that kicks in next season. His fate is secure. Hill and Favors are each currently eligible for extensions of their own, ones that could leverage Utah’s $13.6 million of available cap space to renegotiate their current salaries as the baseline for it. Favors is five years younger than Hill and still very much in his prime, but he’s also under a low-value contract through next season and could be the odd man out if there is to be one. Among the team’s when-healthy starters, his long-term tenure in Utah would appear the least secure. So he’s not likely to get an extension. Hill is a guy the Jazz would love to renegotiate and extend, and they can make a offer to do so — one that pays out up to $88.7 million in new money in exchange for a commitment through the 2019-20 season, which, for the Jazz, would: (i) deflect $13.6 million of the associated future cap hits by paying it out this season (effectively a cap savings of $4.5 million per future season), (ii) render $4.2 million of that $13.6 million as essentially free (since the Jazz are below the salary floor, they’d need to pay that $4.2 million out anyway), and (iii) reduce the maximum term of the deal for the soon-to-be 31-year-old to three new seasons. But he seems to prefer to hash things out in free agency, where he can make his decision alongside his close friend Hayward does (and tack on up to two additional years onto his deal if he stays). Hood will be eligible for an extension of his own starting this coming July, which would kick in when his rookie-scale contract expires at the end of next season. He’s a solid two-way talent. He won’t be cheap. And then there’s Hayward, the heart and soul of the franchise, who will become a prized free agent this summer if he declines his $16.7 million player option by his June 29 deadline. The last time Hayward hit the open market, as a restricted free agent in the summer of 2014, talks with the Jazz broke down to point where he was forced to pursue other options. Utah could have kept him off the market had they negotiated a contract extension the prior October, but Hayward was reportedly seeking a four-year deal valued at $50 million while the Jazz reportedly held firm at $48 million. The hard line ultimately proved costly. Rather than even attempt to negotiate a new deal that could have extended as long as five years the following July, the Jazz made known its intention to match any offer sheet Hayward signed. He went on to sign a four-year, $63 million max offer sheet with the Charlotte Hornets on July 10, 2014. To make the deal particularly unpleasant for Utah, the Hornets threw in a 15 percent trade kicker and a player option on the final season. They matched anyway. Nearly three years later, that contract sets Hayward up for one of the league’s most intriguing summer scenarios. Almost every team with max level cap room will inquire about his services, including the Boston Celtics (coached by his former college coach Brad Stevens) and the Miami Heat. But the Jazz simply can’t afford to lose him. If they do, the whole experiment implodes. And a new provision in the CBA to come could provide the Jazz a unique, but costly, financial advantage in retaining its star player. Hayward will command max dollars this summer. But all max salaries aren’t built equal in the NBA. There are three levels: those with 0-6 years of experience are eligible for up to 25 percent of the salary cap (a Tier 1 max salary), those with 7-9 years of experience are eligible for up to 30 percent of the salary cap (a Tier 2 max salary), and those with 10+ years of experience are eligible for up to 35 percent of the salary cap (a Tier 3 max salary). But the CBA to come — which takes effect on July 1, 2017 – will contain a new provision, called the “designated veteran player” provision, which was designed to help incumbent teams retain their star talent. It will allow certain players, those who qualify, to sign five-year contracts that start at up to the Tier 3 max, even though they only meet the league’s tenure-based eligibility requirements for a Tier 2 max. Players utilizing this provision don’t need to sign for the full 35 percent of the salary cap — the sides can agree to a contract that starts anywhere from 30 percent or 35 percent. But they do need to sign for the full five years. To qualify, a player must be entering his eighth or ninth season in the NBA (in the case of extensions) or have just completed his eighth or ninth season in the NBA (in the case of free agent signings), and must meet one of the performance criteria. Included on the list: Making one of the three All NBA teams in either the previous season or the prior two, winning Defensive Player of the Year in either the previous season or the prior two, or winning MVP in one of the previous three seasons. Among the various other restrictions: You must have never changed teams as a free agent. You could have only been traded during your first four years in the league. You must be a free agent (in the case of a free agent signing) or have one or two years left on your contract (in the case of extensions). You can only sign it in the offseason (after July 1 and before the first regular season game). And if it is an extension, three years have to have passed since you signed your original contract. That’s a lot of restrictions. And not a lot of guys will qualify. Take Hayward, for example. He may not be a superstar, but he is a legitimate star. Yet he’s never once made any of the three All NBA teams. But he’s also is in the midst of his finest NBA season — averaging a career-best 22.3 points, a career-best 6.2 rebounds, and 3.7 assists per game. He’s also doing it defensively – allowing the players he’s guarding to shoot just 38.0 percent from the floor, a stellar 5.5 percent below their season average. Could he earn All NBA honors this season? Six forwards will make it. Last season, those six were: LeBron James, Kawhi Leonard, Kevin Durant, Draymond Green, Paul George and LaMarcus Aldridge. Then there are those who, like Hayward, didn’t make it but are having breakout performances this season: Anthony Davis (if you consider him a power forward), Jimmy Butler (if you consider him a small forward), Giannis Antetokounmpo, Blake Griffin, and perhaps Kevin Love. Hayward has no chance of overtaking James, Leonard or Durant. Davis and Antetokounmpo would appear way too far ahead at this point as well. Butler is surely well ahead too. Green’s candidacy is more difficult to assess because a great deal of his contributions are intangible, but his numbers are down across the board from last season. An argument could be made that Hayward is currently having a better season than George, Aldridge, Griffin and Love. But that’s still at least six players ahead of him. An injury, however, could change things. As could the classification of Davis as a center. There’s chance Hayward could make it. It’s an outside chance. But it’s possible. Which means he would be wise to consider it. After all, we’re talking big money here. With the salary cap projected by the NBA to jump from $94 million this season, to $103 million next season, to $108 million in 2017-18, and on to $120 million by 2020-21, the pay bump would approximate $6 million per season. Of course, even if Hayward were to qualify for the “designated veteran player” provision, it doesn’t necessarily mean the Jazz would pay it. With Hill, Hood, Hayward, Favors and Joe Ingles all meriting huge salary increases, it’s really not all that hard to envision a 2018-19 payroll that tops out north of $140 million (though a more likely scenario is the loss of Ingles, Hood and/or Favors to free agency and/or a possible trade of Alec Burks to dump payroll and drop below the projected $130 million tax line). Adding another $6 million would only increase the hurt. Perhaps the Jazz would be willing to endure the added cost. Maybe they’d offer Hayward a contract that splits the difference between his tenure-based max (30 percent of the cap) and his designated veteran player max (35 percent of the cap). Maybe, perhaps even probably, it’s a hard no. And maybe Hayward wouldn’t even demand it, given the ramifications it could have for the rest of the roster. The problem for Utah is that in the unlikely event Hayward negotiations do come down to the money, the financial advantages they have in retaining him could start to shrink considerably if they don’t offer it. And that’s where things could start to get intriguing: To get the super-max deal, Hayward would need to qualify for it. If he qualifies, the Jazz would still need to be willing to offer it. If they offer it, Hayward could have a huge financial incentive to stay, but they’d feel the hurt financially. If they don’t offer it (or if he doesn’t qualify), the financial advantage Hayward would have in re-signing with the Jazz could start to shrink quickly. If the financial advantage shrinks, they’d presumably have a higher chance (if not necessarily a likely one) to lose him this summer. Which they can’t do. Hayward will have a wide range of contract options from which to choose this summer – which could expand further if he were to earn All NBA honors, and if the Jazz were to be willing to pay out super-max money. Let’s break down five scenarios, in order to get a better sense of the complexity involved in his decision. This scenario may seem relatively straightforward, but it isn’t. Even if Hayward makes All NBA honors this season, he still faces a serious problem: He’ll only be a seven-year veteran this summer. If he declines his relatively meager $16.7 million player option, he’d be a free agent with just seven years of experience. Free agents with seven years of experience don’t qualify for a new super-max contract. If he exercises his relatively meager $16.7 million player option, he’d be under contract as he enters his eighth season. Players entering their eighth seasons qualify for a super-max extension. He’d be eligible to sign it three years after his original contract was signed, on July 12, 2017. In other words, to get a super-max payout this summer Hayward would first need to exercise his option. Exercising his option might seem like a crazy idea. It would pay out just $16.7 million next season. That’s $14.2 million less than the projected Tier 2 max salary of $30.9 million he could command as a free agent even without the super-max. But as shocking as it sounds, it could prove worth it. Yes, he’d be sacrificing $14.2 million next season. But he’d be securing a projected $219.2 million for the five years after it. Even if he doesn’t earn All NBA honors again next season (before the extension kicks in). That’s $236.0 million total. Guaranteed. In fact, this scenario guarantees a higher payout than any other option he would have available this summer. The most he could guarantee himself without the super-max salary extension would be $179.2 million over five years from the Jazz, or $132.9 million over four years from any other team. If the Jazz are dead-set on retaining their star player, $236 million could very well do it. Even if Hayward were to qualify for the super-max, and even if the Jazz were willing to pay it, there would still be a potentially significant issue standing in the way — the entire concept is predicated on an assumption which is highly illegal. Hayward would only exercise an option that pays him $14.2 million less than what he could surely make on the open market if he knew a super-max extension was coming the following month. It is not legal to discuss a future deal like that. In fact, it is considered among the most serious violations a team can commit. A violation can result in a fine up to $6 million, forfeiture of draft picks, voiding the player’s contract(s), and/or the suspension for up to one year of any team personnel who were involved. In addition, the player himself can be fined up to $250,000, and prohibited from ever signing with that team. But none of that means that under-the-table agreements for future contracts don’t happen all the time, or that it wouldn’t happen with Hayward. One man’s perspective of a clear violation is no more valid than another man’s perspective of a totally legal read-between-the-lines, quid-pro-quo situation. Of course, the likelihood of this scenario is probably low because the chance of Hayward earning All NBA honors is probably low. Why are the new “designated veteran player” rules so impactful? They don’t only impact the relatively few players who qualify. They could impact players who think they might qualify in the future. Which could impact all sorts of contract decisions. Even if he doesn’t make All NBA honors this season, or if doesn’t want to sacrifice $14.2 million by exercising his player option for next season, he could still qualify for a super-max deal if he makes All NBA honors in either one of the next two seasons. But to do so, he’d need to sign a deal this summer that gives him the flexibility to become a free agent at the end of each of those seasons. He wouldn’t be eligible to extend an existing deal. Which means he’d need to sign a two-year deal with a player option after the first year. He wouldn’t necessarily be losing any money. He would still be getting the max. But he’d be taking a risk – only two years would be guaranteed. If something were to happen over those two years, he wouldn’t be protected thereafter. There is some real beauty in the flexibility of this contract – it would give Hayward the chance to earn his $30.9 million max next season and still retain the ability to shoot for a five-year deal paying out a projected $219.2 million with the Jazz next summer if he makes All NBA next season (a total of $250.1 million over the next six years), or $64.3 million over the next two seasons and still retain the ability to shoot for a five-year deal paying out a projected $231.4 million with the Jazz in the summer of 2019 if he makes All NBA in the 2018-19 season (a total of $295.6 million over the next seven years). Hayward would become a free agent as a 12-year veteran in the summer of 2023, at age 32. He’d be eligible to sign a full five-year maximum contract. Hayward would become a free agent as a 13-year veteran in the summer of 2023, at age 33. He’d be eligible to sign a full five-year maximum contract. If Hayward were to miss out on All NBA honors this and each of the next two seasons, he would still have collected his max possible payouts in each of the prior two seasons, and would become a free agent as a nine-year veteran at age 29 in the summer of 2019. He’d again have a couple of options. He could choose to eliminate all risk. He wouldn’t qualify for his super-max, but he could lock in a long-term deal with a Tier 2 projected starting salary of $35.0 million. The Jazz would be able to give Hayward higher annual raises (8.0 percent of his first-year salary, vs. 5.0 percent) and a longer term (five years, vs. four) than can any other team – which would equate to a total payout of $203.2 million over five years with the Jazz, or $150.7 million over four years with any other team. He could roll the dice and sign another short-term deal – perhaps another single-season max with a player option for a second-year he doesn’t intend to exercise. Why would he do that? Because it would serve as a bridge to him becoming a 10-year veteran. Even having never reached All NBA honors, he would quality for a Tier 3 max starting salary in the summer of 2020 – projected at $42.0 million. The then 30-year-old could potentially lock in a max contract that pays out $243.6 million over five years with the Jazz, or $180.6 million over four years with any other team. Hayward would become a free agent as a 14-year veteran in the summer of 2024, at age 34. Under the league’s new Over-38 rules, he’d again be eligible to sign an up to four-year maximum contract. Of course, if Hayward doesn’t make All NBA honors this season, by far his best in the league, there’s a strong chance that he won’t gamble future guaranteed dollars on the chance he might in the future. Which makes Scenario 2 (with all of its sub-components) the least likely scenario of all. All of the previous scenarios have one underlying assumption – the super-max is a possibility for Hayward. The chances of that happening, however, are probably low, because the chances of him earning All NBA honors this season are probably low, and the chances of him betting guaranteed money on the prospect that he earns All NBA honors in the future if he doesn’t earn them this season are probably equally low. So… let’s now start getting into the more realistic scenarios. The problem for the Jazz: If we were to remove the prospect of a super-max deal, Utah’s financial advantage shrinks considerably. Hayward’s best financial alternative in situations where the super-max is not a factor might be to structure a deal that gives him the flexibility to hit free agency as a 10-year veteran in the summer of 2020, when his max salary would rise to the Tier 3 super-max level. That’s three years from now. In the non-super-max world, then, Hayward’s most lucrative contract would seemingly be a four-year deal, with a player option after three years. The contract give him the guarantee of a four-year deal – $138.4 million with the Jazz, $132.9 million with any other team – but also the flexibility to opt out at just the right moment. A follow-on five-year max deal signed with the Jazz in the summer of 2020 could pay out $243.6 million, for a cumulative total of $343.7 million. The problem for the Jazz in a non-super-max scenario that has him signing a four-year deal with an opt-out that allows him to sign a Tier 3 max contract in just three years? Any team could give Hayward a four-year deal. And even if he were to sign with another team this summer, the follow-on deal could pay out the very same five-years and $243.6 million, for a cumulative total $340.9 million. There’s not a huge difference between Scenarios 3 and 4 – less than $2.8 million, in fact, over the course of eight years. And in either case, Hayward would become a free agent as a 14-year veteran in the summer of 2024, at age 34. Under the league’s new Over-38 rules, he’d again be eligible to sign an up to four-year max contract. Which could present a murky problem for the Jazz: If a super-max deal is off the table, what Hayward might want isn’t significantly different whether he signs it with the Jazz or any other NBA team. Which could, in turn, cause him to test the free agent market in search of an opportunity that gives him a better chance to win. All previous examples make certain assumptions, but all have potential issues that make them less likely. Scenarios 1 and 2 assume that he makes All NBA or wants to retain the flexibility to do so next season. But it’s distinctly possible (perhaps likely even) that he won’t make it this season, isn’t willing to bet on him making it next season, or, perhaps most importantly, that the Jazz won’t give him a super-max deal even if he does. Scenarios 3 and 4 assume that he wants to retain flexibility to sign his next contract as soon as he becomes eligible for a Tier 3 max salary. It’s distinctly possible that Hayward simply wants to maximize his future payout this summer. No having to worry about follow-up contracts. No worries at all. Simple. Easy. Risk-less. And huge money locked-in for life. The Jazz will be able to give Hayward higher annual raises (8.0 percent of his first-year salary, vs. 5.0 percent) and a longer term (five years, vs. four) than can any other team this summer. That would equate to as much as $179.2 million over five years with the Jazz, and $132.9 million over four years with any other team. That’s an extra $46.4 million difference over one extra season. Hayward could still sign a new deal to lock in big money after the contract was over. And he’d still only be 31 (if he were to negotiate for and exercise a player option) or 32. Which could present a significant advantage for the Jazz: If Hayward wants to maximize his payout this summer, Utah has a $46.3 million advantage. Financially speaking, the Jazz figure to be in a difficult situation with Gordon Hayward this summer. 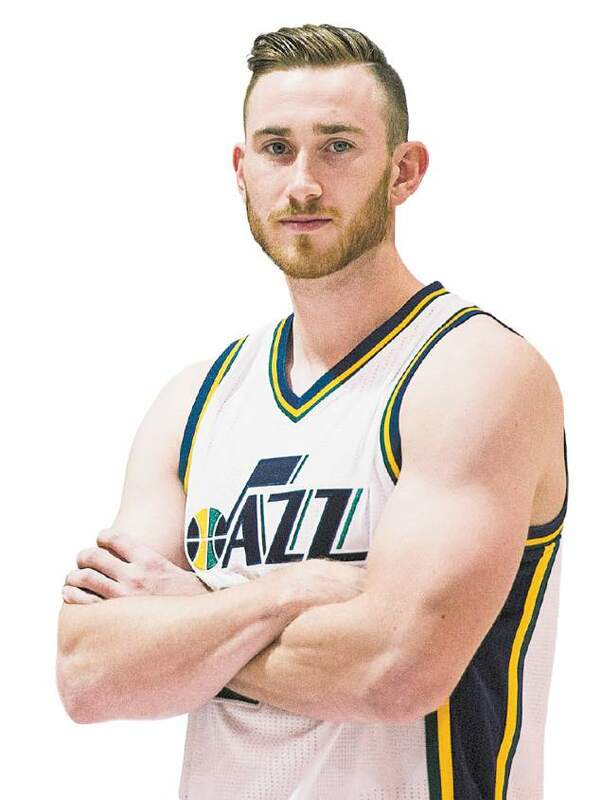 If Hayward were to earn All-NBA honors this season, Utah’s precarious financial position would likely restrict them from offering the designated veteran player extension for which he would qualify if he were to first exercise his $16.7 million player option. If Hayward were to miss All-NBA honors this season, the Jazz could offer a contract that extends one more year (five, vs. four) and contains higher annual raises (8 percent, vs. 5 percent) — which equates to a potential five-year, $179.2 million contract with the Jazz, and $132.9 million over four years with any other team. But that $46.4 million difference is something of an optimal illusion. Hayward’s best alternative, financially speaking, could be to sign a four-year deal, with a player option that would enable him to enter free agency upon becoming a 10-year veteran eligible for a Tier 3 max contract after three years. And since any team in the NBA can offer it, Haward finds himself in a relatively unique position of being able to select his future destination with the knowledge that the money will be virtually identical anywhere he chooses. There will be one key time to consider: Mid-May 2017. That’s the time the All-NBA honors are typically announced. The NBA has announced a first-ever awards show be aired on June 27, 2017. The show will feature the announcements of the MVP, Defensive Player of the Year, Rookie of the Year, NBA Sixth Man Award, NBA Most Improved Player, and Coach of the Year. It’s unclear as to whether the All NBA selections will be announced on this date as well, but it’s unlikely given the ramifications involved and the need for players and teams to plan around it (e.g., it could have draft and trade implications, etc.). If Hayward makes the cut, he’d be eligible for a super-max extension that could potentially cause him to exercise his player option and pre-empt free agency. If Hayward doesn’t make the cut, he will decline his option and be very much be in play on the free agent market. Every team with max level cap room could have a shot at stealing him away. To do so, they would need to show him a legitimate path toward success that tops out higher than where the Jazz finish this season. The Jazz certain hope that’s with a few playoff victories.